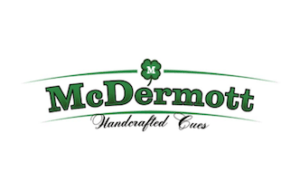 MENOMONEE FALLS, WI (February 8, 2017) – McDermott Cue Mfg., LLC is a leading manufacturer and worldwide distributor of billiard cues, performance shafts and accessories. McDermott cue announced recently that they signed an exclusive distribution agreement with Navigator for the USA, Canada and Mexico. Based in Japan, Navigator specializes in manufacturing premium quality billiard tips and chalk. Navigator is owned by Ryotaro Horiuchi, who started creating tips 15 years ago in an effort to make a product that is superior to anything currently available on the market. During this time, Horiuchi studied under Hideo Moori of Moori Tips. After 10 years of experimenting, Horiuchi began branding his products under the Navigator name. Ryotaro and Moori remain good friends today. Navigator tips are made using 100% Japanese pigskin leather. They are laminated and pressed utilizing a specialized method that features their unique non-glue adhesive. This improves the way the tips perform by creating a leather-on-leather tip instead of a leather-on-glue-on-leather like most other tips found in the industry. Navigator’s products include Navigator Alpha tips, Navigator Black tips, Navigator Blue Impact tips and Navigator Premium Chalk. Navigator products are now available for purchase through McDermott. To learn more about Navigator’s product line or to order, visit www.navigatortips.com.